Many viruses that have been studied require a specific cell surface receptor in order to gain entry to their target cell(s). To this date, no specific cell surface receptor has been identified for the Ebola virus. The Ebola virus is responsible for a highly infectious disease referred to as hemorrhagic fever in humans. However, important strides have been made in understanding the mechanism of Ebola virus infection. Once the Ebola virus successfully binds specifically to its host cell, it is engulfed by a process known as micropinocytosis that encapsulates the virus in a cell organelle referred to as endosome – a membrane-bound vesicle. While within this environment, the virus’ surface glycoproteins are cleaved through the action of a protease (an enzyme that degrades proteins). The process by which the virus is ultimately released from the endosome into the intracellular environment remains to be completely characterized. However Dr. Yasuteru Sakurai and his colleagues from the Texas Biomedical Research Institute in San Antonio Texas have elucidated an important step in this process. Through exhaustive and painstaking studies they have shown that endosomal calcium channels – two-pore channels (TPCs) are necessary for the release of the Ebola virus from the endosome that holds it. More importantly, from a therapeutic standpoint, the investigators used a number of research techniques to disrupt TPC function including gene knockout – where the gene responsible for the production of TPC protein is rendered dysfunctional - and were able to effectively disrupt virus trafficking and, thereby, prevent infection. 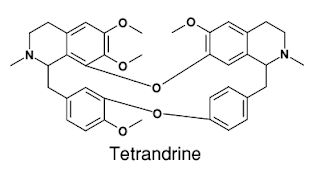 Finally the use of Tetrandrine - a calcium channel blocker possessing anti-inflammatory, immunologic and antiallergenic effects - inhibited infection of human macrophages; these cells have been shown to be the primary target of the Ebola virus in an in-vitro setting. These are important findings for a number of reasons. They demonstrate that TPC-related proteins play an essential role in the Ebola virus infection process. 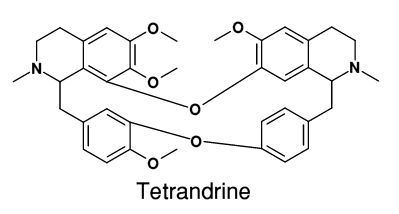 In addition, their preliminary results using Tetrandrine illustrate how this information may be used to develop effective strategies against hemorrhagic fever.